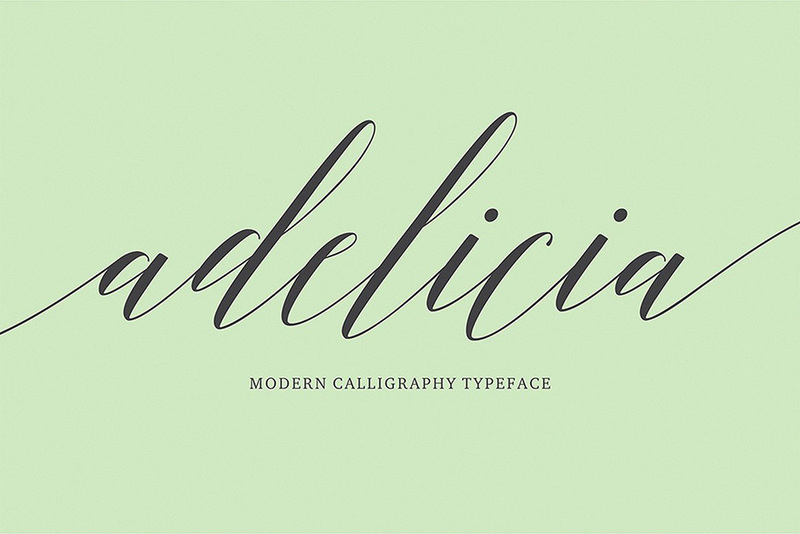 Adelicia Script is a calligraphy style font with a smooth line, dancing baseline, classic and elegant touch. Can be used for various purposes such as headings, signature, logos, wedding invitations, t-shirt, letterhead, signage, labels, news, posters, badges etc. File size is approx 1.3MB (3MB unzipped), offered as a single download. I just purchased this font and I was wondering… I thought the “Adelicia Script Slant Rough” would look the same as in the picture with “rise and shine” text in it (with those super-long curvy lines at the start and end of the text). Thanks so much for taking the time to leave us a comment and I am so sorry for any confusion caused by your new Adelicia script! I believe that you are referring to the stylistic alternates that the designer has included with the font. I can certainly help you locate these Anni so that you can get the most out of your new font. I have popped you over an email along with a video tutorial which should help! I’m having trouble accessing the swashes and glyphs as well. I looked at the link you included in the comments above, but I’m not using Illustrator or Photoshop. I’ve downloaded the OTF fonts but don’t have access to the swashes. Figured it out! It was a Mac issue. Thank you so much for reaching out to us and it is so great to hear that you were able to locate these without further delay :). If you have any other questions about working with your new design resources, please let us know and we would be happy to help! I am having some difficulties to get the swashes, alternates and ligature. I would appreciate some help. I’m so sorry to hear that you are having difficulty locating these, rest assured I have popped you over an email to help! I am unable to get to swashes (or any stylistic alternatives) through the character panel – I am only able to toggle standard ligatures. Same as Amy above. I am so sorry that you are having trouble with this! I am unable to get to swashes (or any stylistic alternatives) through the character panel – I am only able to toggle standard ligatures. How do I make the swashes with this font? What do you mean by “Desktop Fonts Only”? Cam I use this font for print and design projects? I am so sorry for any confusion caused with this!